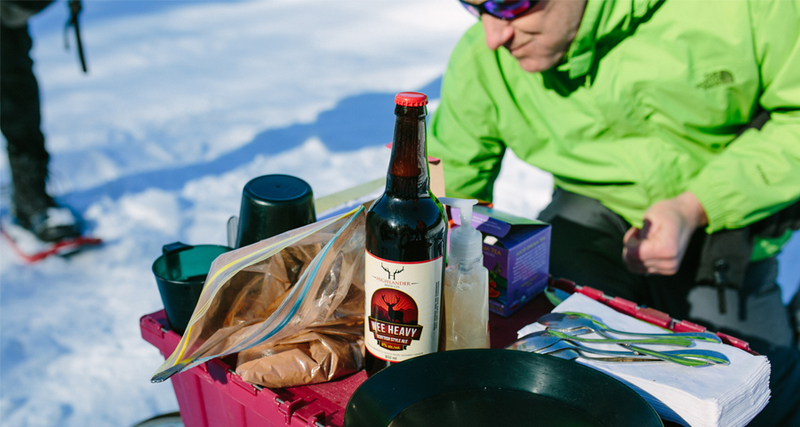 Cheers to Winter Beers in Ontario’s Cottage Country! Did you know Ontario’s cottage country is home to many of the province’s finest craft breweries – and an award winning winery too? This holiday season, make plans to head out for a create-your-own holiday brewery tour with friends and family, and raise a glass or two to all things festive. Boshkung Brewing Co, a small batch brewery focused on cottage living, local fare and great tasting beer (of course!) 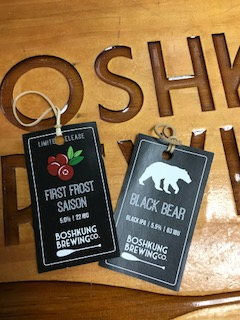 is rolling out their First Frost Saison and Black Bear IPA brews this winter. First Frost, pouring rich in colour with a slight haze, has all the traditional qualities of a saison. With the harvest season and local producers at top of mind, they’ve added fresh cranberries to the mix to give this brew its tangy finish. And don’t be intimidated by Black Bear’s dark colour – it’s as smooth as they come with contrasting flavours and aromas that make it a treat for the palate. It’s balanced blend of roasted malt character and citrus hops is a must try this season! Haliburton Highlands Brewing creates hand crafted, all-natural ales brewed in the heart of the Haliburton Highlands. Their beautiful facility at Abbey Gardens is perfectly positioned with their mentality of operating with sustainable practices and incorporating local ingredients into their beers. Come in for a Wee Heavy Scotch Ale this season, a deeply malty, mildly sweet brew with notes of caramelized sugar and dried fruits. This delicious cold weather beer is the perfect compliment to an evening in front of a warm fire. While you’re visiting, check out their Spruce Kveik as well – cause nothing says winter like the aroma of spruce! Head to the Almaguin Highlands just north of Muskoka and visit the new location of Highlander Brew Co. in South River. Located on the western edge of Algonquin Park, it’s one of the most-northern craft breweries in the province. Sip their Blacksmith Smoked Porter, an earthy beer with aromas of dark fruit, chocolate, coffee and tobacco. Or grab a pint of their flagship beer, the Scottish Ale, and catch a concert or event in the intimate Highlander Music Room, like the Highlander Classical Brunch Series they are currently offering. In the heart of Baysville, Lake of Bays Brewery is literally a stone’s throw from the lake that inspired its name. 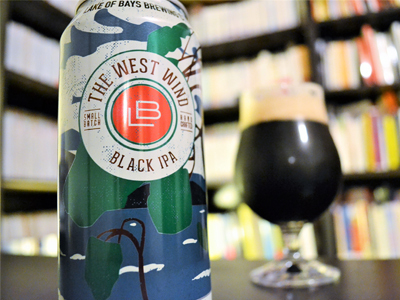 In 2017, they’ve decided to pay homage to Tom Thomson and the 100th anniversary of this death with The West Wind Black IPA. In this brew, you’ll catch a hop-forward aroma with a scent of chocolate and raisin – and in another homage to Tom’s artist collective, The Group of Seven, this beer is 7% alc./vol. A new brew will be rolling out soon at the brewery too, their Dopple Do Ya Red Wheat Ale. German Hallertau hops offer an earthy aroma, mingling with a slight floral note. This bright red wheat is smooth and medium-bodied with a subtle taste of caramel, banana and vanilla. Call ahead to plan a tour of the brewery. 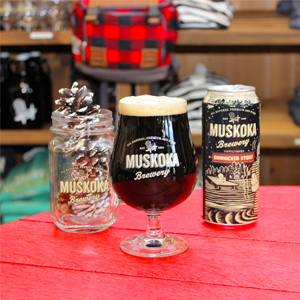 A pioneer in the craft brewing industry, Muskoka Brewery has winter flavours that will make even a non-beer drinker salivate. Their Shinnicked Stout is a dark brown oatmeal stout with a dark roasted coffee flavour that comes from the inclusion of Muskoka Roastery‘s signature Lumberjack Coffee. It’s velvety smooth with a higher carbonation for a lighter mouth feel. A more session beer, Muskoka Brewery’s Winterweiss offers a surprisingly light body with flavors of roasted banana bread and cloves accompanying the sweeter dark malts of this German-style dunkel wheat beer. And don’t forget about Winter Beard, their Double Chocolate Cranberry Stout, which offers a rich blend of real cocoa, local cranberries (a berry native to Muskoka) and dark chocolate malts. Enjoy a guided tour of the brewery and see how your favourite brew is crafted, and check out the handy “food pairings” section of their website. Into cranberries, not beer? Check out Muskoka Lakes Winery in Bala and taste some of their local cranberry wines. Find a bottle to go with holiday desserts and to pour for guests at New Year’s Eve (they suggest enjoying this sweet port wine with strong cheese and great friends). After dinner sip on their Red Maple Dessert Wine or try their Cranberry Blueberry Wine, created with both berries native to Muskoka. And plan an extended stay to visit the adjacent Johnston’s Cranberry Marsh this winter, to use the extensive trails for an outdoor adventure. Located just north of Parry Sound in Nobel, Norse Brewery offers a core selection of all natural craft beer brewed at their location; a Dark Ale, Golden Ale and Red Ale. Visit them to sample their brews and to purchase bottles to bring home. The beauty of craft brewing is that there are no rules; there is no magic ingredient for a seasonal beer so creativity leads the way. 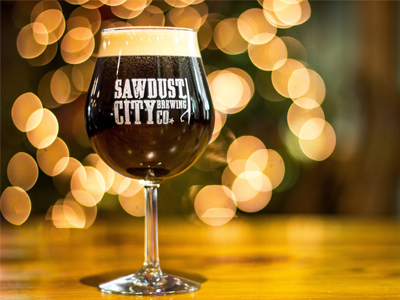 Visit Sawdust City Brewing in Gravenhurst this season and be one of the first to try their new creation rolling off the lines on November 23rd, the HYGGE Coffee Stout. This brew is a rich, chocolatey stout infused with free trade, full roast coffee from Cuts Coffee Shop in Toronto. Enjoy this holiday treat with friends and family this holiday season – available in 750ml bottles only at the brewery. While you are there, enjoy the atmosphere of their beautiful Saloon, offering 12 taps pouring a rotating variety of Sawdust City cores, seasonal brews, collaborations, one-offs and guest brews. And don’t forget to check out their events page too for a complete list of everything going on inside. Consutruction is underway at Trestle Brewing Company in Parry Sound! Follow along with the progress by checking out their blog, and try some of their flagship brew, Trestle Golden Ale, at select establishments in the Parry Sound area. Finish up your Holiday Brewery tour by pairing your favourite craft beer with live music and the cozy atmosphere of The Griffin Gastropub. Tucked in at the top of Chancery Lane in downtown Bracebridge, the cozy atmosphere of this local favourite is not to be missed when the weather cools down – expect frosty beers, friendly staff and fantastic food waiting for you when you arrive. This winter, head to the Explorers’ Edge region of Ontario and raise a cheer for holiday beer!